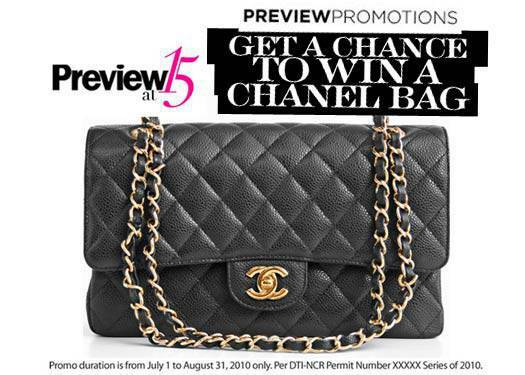 Win A Chanel Bag From Preview! Preview's giving away a classic Chanel handbag for its 15th anniversary. Preview readers, listen up! For the magazine's 15th anniversary, one lucky reader will have the chance to win a Chanel 2.55 classic caviar flap bag. Designed by Gabrielle "Coco" Chanel in February of 1955 (which gives it its name), it is "one of the fashion world's most covetable status symbols," according to Preview Editor-in-Chief Pauline Juan. To join, Preview readers need to text a unique code found in every copy of the July and August issues of the magazine. Each code can only be used once, so the more copies of Preview you buy, the more chances you have of winning the covetable prize. The promo is ongoing and ends on August 31, 2010. For the promo's complete mechanics, grab a copy of the July and August issues of Preview magazine in your favorite newsstands or bookshops. 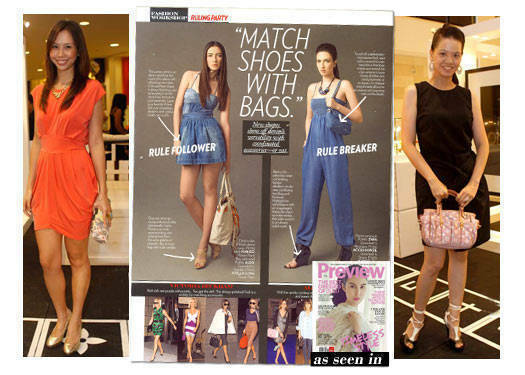 Hurry and have a go at winning this much sought-after bag!